1) You MUST “LIKE” the Alien Cyborgs Facebook Page! Those of you who are members of the page are already half way there! 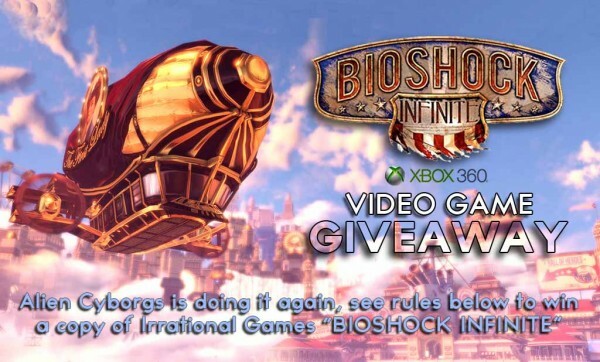 2) You MUST “SHARE” the “”BIOSHOCK INFINITY” Promo Graphic on your page! 3) You MUST get a friend to “LIKE” the Alien Cyborgs Facebook page to become eligible! For every friend that you get to LIKE the page it gives you another chance to win! 4) Lastly, YOU MUST message us VIA THE COMMENTS SECTION BELOW and tell us the name of the “CONFIRMED” friend that has LIKED the Alien Cyborgs Facebook Page. Congrats, YOU are now eligible for a chance to win…but your friend is NOT! If He/She wants a chance to win, He/She must repeat the steps above! They must now get another friend to “LIKE” and SHARE the Alien Cyborgs Facebook page. Then they must message us via Facebook with a name of the “CONFIRMED” friend who has LIKED the Alien Cyborgs Facebook Page.…and so on and so on and so on! Deadline midnight 04/01*/13. Winner announce within 48 hrs. Just follow the rules and don’t worry about anything else, if you win we will send out your prize free of charge…you won’t even have to pay for postage and handling! My friend Dan Poppell just liked the page !! Pick me please n.n I’m bioshock obsessed and can’t wait for this game !! YAY, Alex! Thanks for entering! The more friends you get the better your odds are! Good LUCK to you. My friend Charles Higgs liked the page. Thank you for the giveaway! Heya Mike, Thank YOU for entering to win! The more friends you get the better your chances are! GOOD LUCK! My friend Dustin Littlefield liked the page. Austin would you pls PM Admin Jet over on the FB page. Thank you. My friend Heather Coulombe liked the page. Thanks Austin, you just doubled your chances! 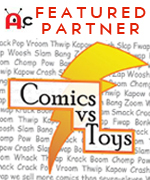 The more friends you submit and who like our page…the better your chances get! 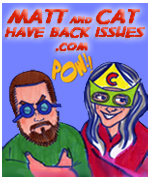 By getting Heather C. on board, you just doubled your chances! Our pleasure Jared, THANK YOU! The more friends you get to LIKE the page and submit…the better your chances are!!! Michael Teague (you replied to him a short time ago on this blog) referred me to your post. He has also done the required things on Facebook. Thanks for the chance to win!!! Sweet giveaway!!! My friend Chris Hofer just liked the page! My friend, Celina Womack DeFoor just liked the page. Thanks for the giveaway. I would love to win this for my husband. Lets hope you win! Good Luck! my friend tom garrett also liked your page. Nice One Dane…the more people you get the better your chances are to win!!! My friend Jenny Lee liked it! My friend Jeremy Liao like the page! Ciara Weaver confirmed! Good Luck!